We have done half way last night. About 1000nm left until Martinique. The wind is steadely blowing from behind so no need to change the sailing setup. 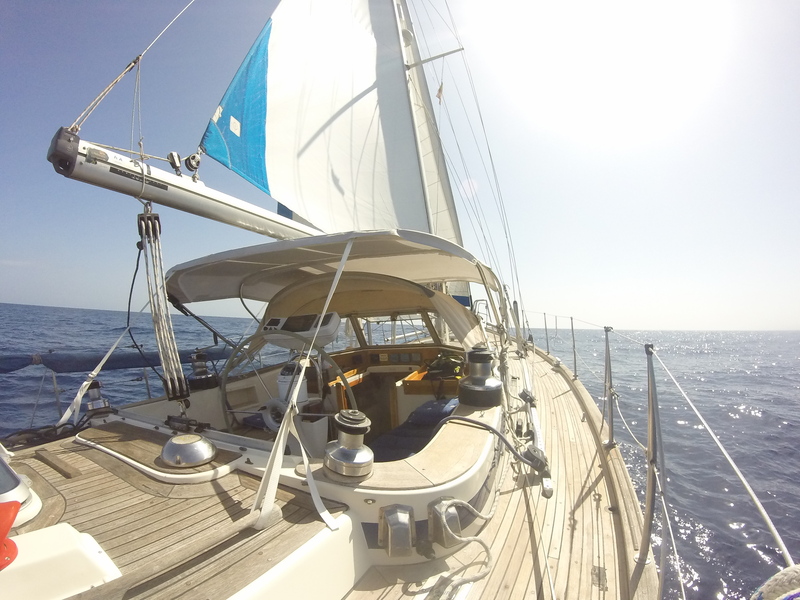 The day before yesterday we changed the setup from main/genua to two head sails. That was very disapointing as Leonora started to roll a lot faster. After a uncomfortable night we changed it back quickly. It is getting warmer everyday! That make the watches more comfortable. This night we saw another sailing vessel and talked to them by radio. SY Olena is participating in the Atlantic odessey, another 3 vessel are behind them. So we are not alone out here. Olena is from Switzerland and we had a nice chat about the journey and the weather. We miss you, our families and friends, a lot and are looking forward to connect to you once arrived in Martinique! Ich wünsche euch weiterhin ganz viel Rückenwind!!!! Happy halftime! And, …you never sail alone! Wow. Half way already! Have a great and save second half! Hugs (especially for Cata) from all of us! We are anxious to know about the journey and news.